Dr. Benjamin Orejudos is a specialist in radiology based in National City, California. He has been working in the medical field for more than 40 years. Dr. Orejudos graduated in 1972 from the University of the Philippines College of Medicine. He continued with an internship and a residency stage in radiology at the Naval Regional Medical Center. He is a board-certified specialist in diagnostic radiology. 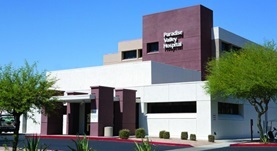 Dr. Benjamin Orejudos is affiliated with the following medical institutions in his area: the Paradise Valley Hospital, the Southern California Permanente Medical Group.